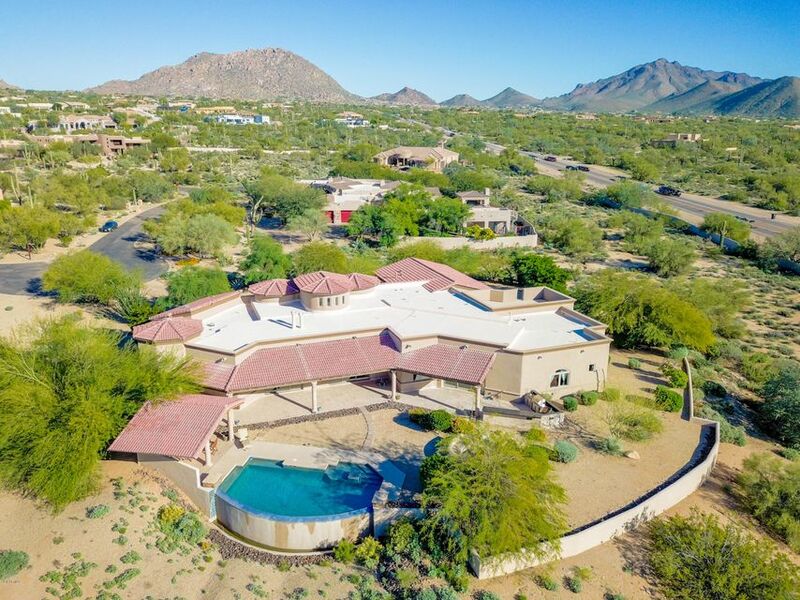 All DESERT SKYLINE ESTATES homes currently listed for sale in Scottsdale as of 04/25/2019 are shown below. You can change the search criteria at any time by pressing the 'Change Search' button below. "Elegant Mediterranean luxury located within the gated North Scottsdale enclave of Desert Skyline Estates. Sited on a generous 1.88 acres and surrounded by NAOS. No detail has been overlooked as you enter the foyer through the large decorative pillars and soaring ceilings, your eyes are drawn to a wall of telescoping doors opening out onto the patio, negative pool, and stunning sunset & mountain views. 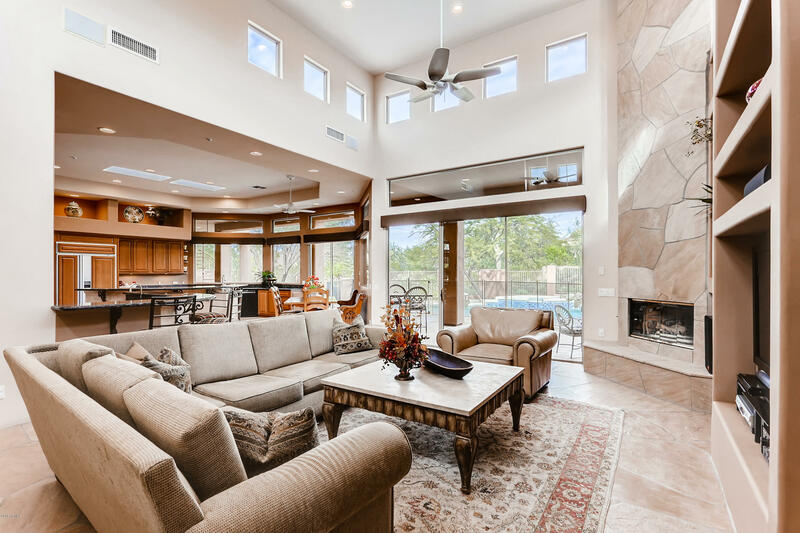 Beyond the foyer is the warm and cozy living room with its Cantera gas fireplace, wet bar, and "
"Located in the gated enclave of Desert Skyline Estates, this custom home is perfectly situated on a 1.4 acre corner lot w/elevated positioning. At over 4,700 sf w/straight line Southwest styling, the great room floor plan features a spacious kitchen, wet bar, & breakfast nook all opening to the family rm w/soaring ceiling, corner fireplace, & built in entertainment center. The extensive use of clerestory & picture windows creates an open & bright feeling & capitalizes on the lush desert landscap"